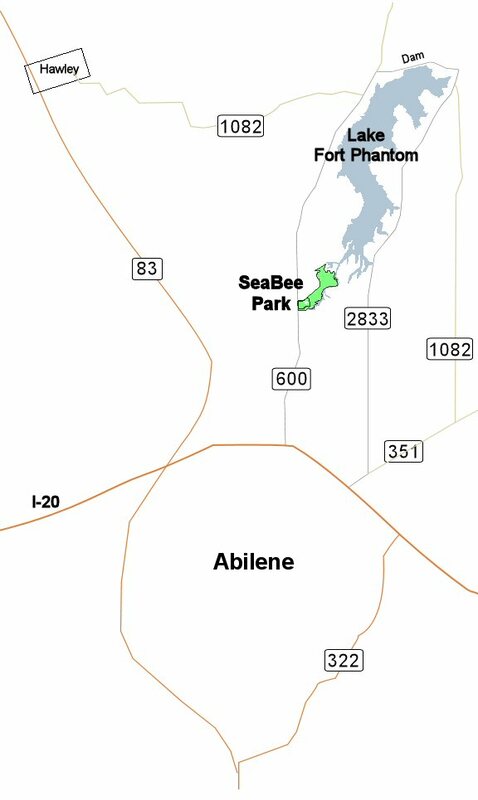 SeaBee Park is located on West Lake Road (FM 600) approximately 3.3 miles from the intersection of I-20 and FM 600. It is part of the southern end of Lake Fort Phantom. 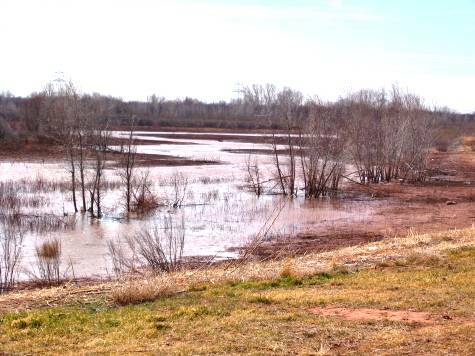 Birding is good year round especially when water is backed up into the park. 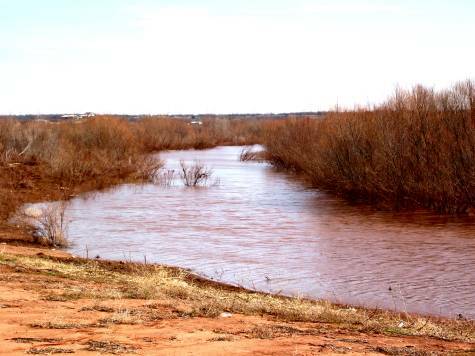 There have been seasons however, when water is not present due to lack of rain or prolonged drought. 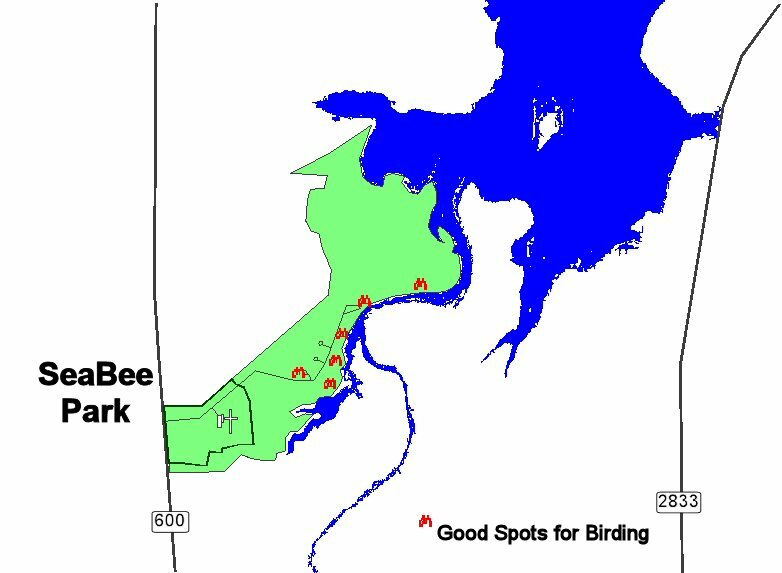 Birding is good in the early morning before people show up to fish, fly their radio-controlled airplanes, or hang out. Winter brings sparrows and ducks; fall and spring migration brings shorebirds, warblers, and other passerines, and summer breeders are Painted Bunting, Ladder-backed and Golden-fronted Woodpeckers, Scissor-tailed Flycatcher, Western Kingbird, Ash-throated Flycatcher, Dickcissel, and Curve-billed Thrasher.